Adopted by middle classed parents, Mugiko has always dreamed to be an heiress. Who knew that one day this dream would come true. Mugiko's biological grandfather is the head of a prestigious family and after many years of searching, he finally finds his long lost granddaughter. As she starts her life as an heiress, everyday is filled with excitement, however, everything seems a bit different from what she had imagined, especially when her grandfather plans her engagement with Yoshiki, his previous heir, a cool boy who doesn't aknowledge her as the true heiress. 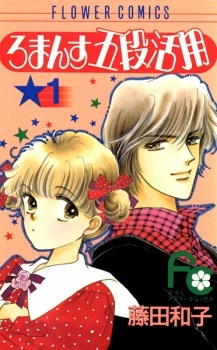 Romance Godan Katsuyou was adapted into a TV drama Taiwanese series in 2007.